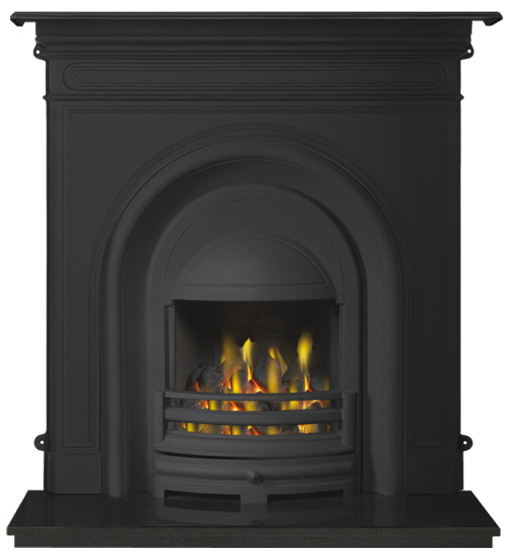 The CastTec Integra Combination is an attractive arched cast-iron fireplace which comes with a 1120mm (44″) shelf attached. 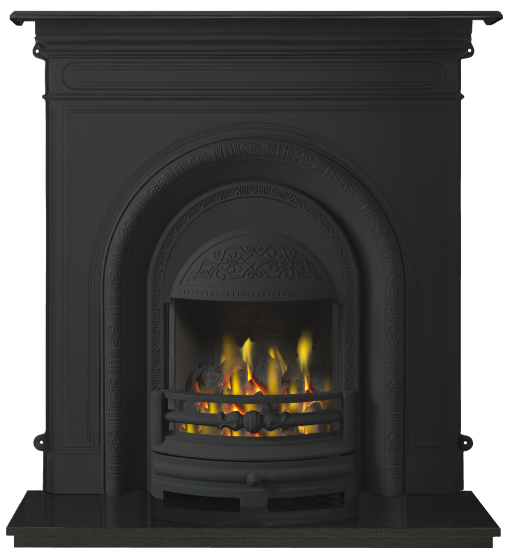 These castings are manufactured specifically to suit our dedicated range of highly efficient gas fires, called Integra Engines, which are suitable for all flue applications (even if you have no chimney). 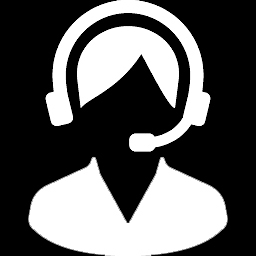 Integra Engine options and technical information are available on page 43 of the CastTec Integra brochure. 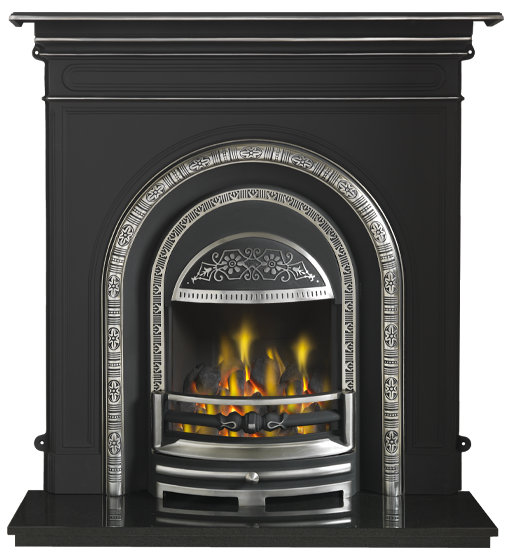 The Integra Combination range has a choice of two cast-iron designs (the Royal & Ashbourne) and six different finish options including matt black, highlight polished and half polish. 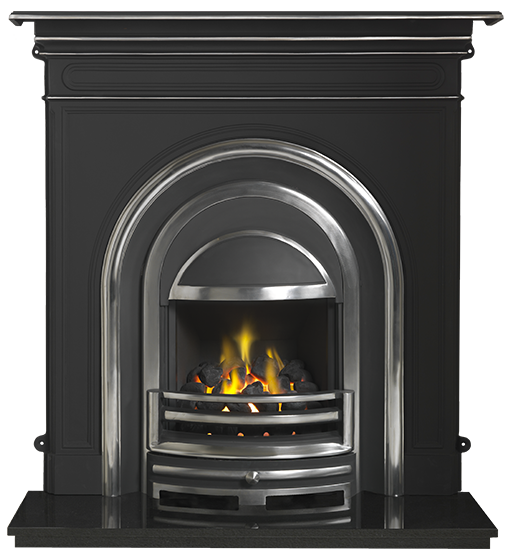 A major advantage of the Integra Combination Range is that it is very fitter friendly. 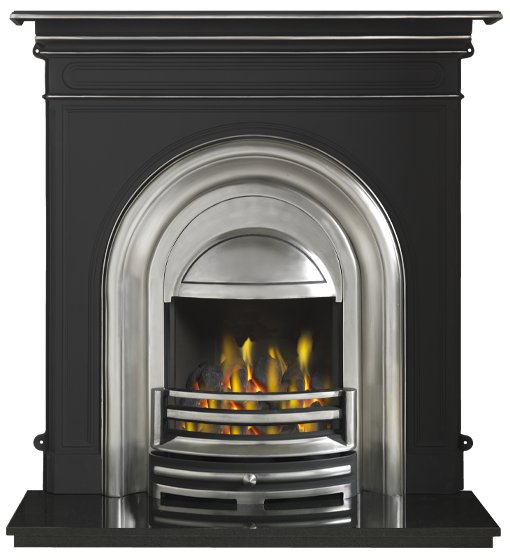 The complete fireplace can be fitted against any suitable flat wall as well as a dedicated chimney breast. 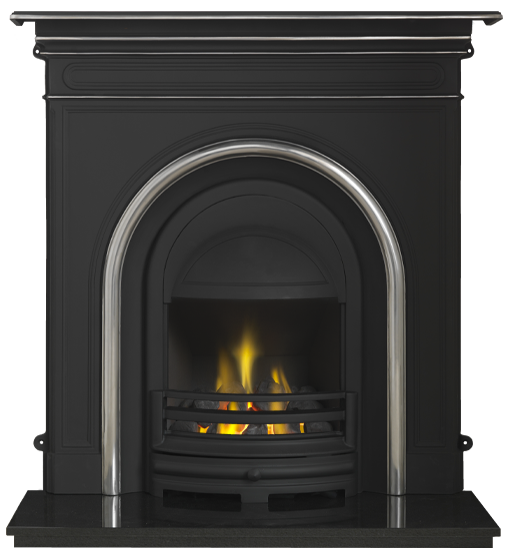 CastTec also supply optional hearths to compliment your Integra Combination.